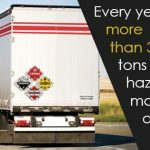 Approximately 94% of daily Hazmat shipments are made by truck. 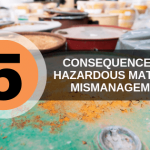 Whether your facility works directly with hazardous waste materials or simply delivers them from Point A to Point B, it’s legally necessary for your workers to meet the requirements for handling hazardous waste. 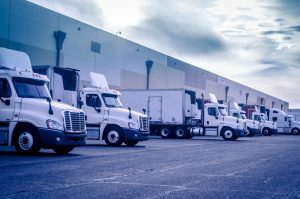 Most Hazmat workers will complete up to 40 hours of OSHA-mandated training including classes on shipping hazardous materials and OSHA confined space training. However, did you know it may benefit your facility for your employees to partake in more than 40 hours of training? The more informed your workers are while working with hazardous wastes, the more prepared they’ll be for when disaster strikes. 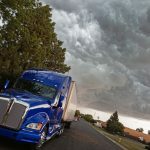 That being said, here are a few benefits your business could take advantage of by having your workers take more than the required number of DOT training courses. There’s a reason why shipping Hazmat materials requires a special certification and routine training – it’s a dangerous job. Workplace accidents in this area of work can put multiple lives in danger, can cause multiple liability lawsuits, and can set back your business’ productivity by multiple weeks if not months. One of the best ways to reduce your concerns for your workers and your organization is to have your employees participate in hazardous materials training regularly. Repeat courses every other year can ensure your workers know safety regulations by heart. Safety guidelines and restrictions change from year to year. 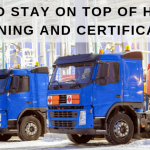 By having your employees take more than the required courses for a Hazmat certification or having them repeat courses every other year, you’re ensuring your workers stay up to date with these changing guidelines. As a result, your employees will be more aware of potential dangers and will know how to respond adequately and efficiently. The more your workers know the safety regulations and how to properly respond to a given danger in the field, the less your business will need to worry about potential problems. There are a number of benefits to taking more than the required Hazmat courses, IATA online training courses, and RCRA training courses. To learn more about IATA online training courses and Hazmat training options, contact Hazmat School today.